So it’s news that the rich sleep better in Canada (as headlines in various online publications recently proclaimed)? Not exactly shocking. Who wouldn’t sleep better owning a Mercedes than a rickety Ford? Insomnia is more often the curse of those who struggle to make mortgage payments and pay for healthcare than the well to do. In Shakespeare’s day, too, insomnia was understood to be an affliction of the wealthy and the powerful rather than the lower classes. “Not all these, laid in bed majestical/Can sleep so soundly as the wretched slave/who with a body filled and vacant mind/Gets him to rest,” says King Henry. 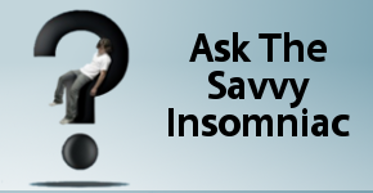 What other factors make us susceptible to sleep problems? Being older has always been associated with sleeping poorly, and with good reason. Seniors take longer to fall asleep, experience less deep sleep (the restorative stuff) and less REM sleep (when we dream), and wake up more often during the night. Their sleep cycle shifts to earlier hours. These changes may have to do with altered patterns of neuronal activity in the brain, as well as other health problems that occur more frequently with age. Being female, too, makes people more vulnerable to persistent insomnia. Three women have trouble sleeping for every 2 men. Hormonal changes during the menstrual cycle, and in perimenopause and menopause, tend to interfere with sleep, as do hormonal and physical changes during pregnancy. The increased risk may also have to do with roles women play and related mental health problems. Women often serve as primary caretakers in the family and are more likely to suffer from depression and anxiety. 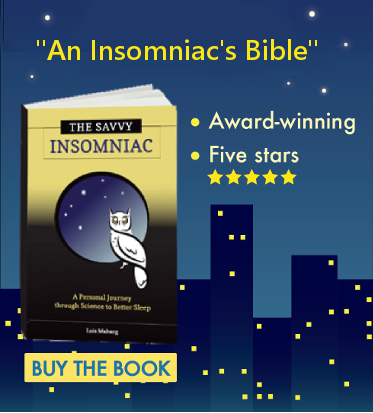 But early medical treatises make no mention of insomnia as a female problem. Near the end of the fifteenth century, Italian philosopher Marsilio Ficino regarded “long bouts of sleeplessness” as a problem of the intellectual, who by definition was male. Too much study and agitation of the mind was the cause of sleeplessness and melancholia, he said. That race might factor into susceptibility to insomnia was never put to the test until recently. Yet it turns out to be true. Researchers at the University of Pennsylvania concluded that “perceived discrimination remains a significant predictor of sleep disturbance.” We’re also more vulnerable to insomnia if we’re single or without children. None of these factors alone or combined determine how well we’ll sleep. But biology and circumstance combine to make it likely that some of us will toss and turn and others, sleep like logs.